From a new customer Anna Haley. I would just like to say thank you so much for your friendly and efficient shopping experience. 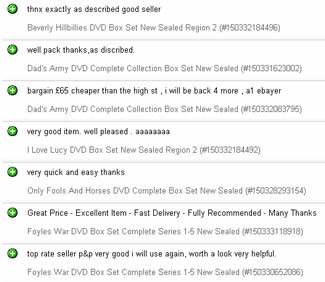 I ordered a dvd that I had been searching for for years for my mum, it was Forever Green. By chance I came across your site and couldn't believe my luck to see you stocked what I had been searching for all this time. I wanted next day delivery so placed a phone order. The service I received was both friendly and efficient. I received my item this morning as promised. I am going to have one very happy mum on Sunday. Needless to say I will definitely be ordering from you again and will be telling my family and friends where to go to get their favourite programs from a bygone era. Thank you so much, I am one very happy customer. Review of the week, just got this in from Mr P V Askey from Worthing. I would like to say that shopping with you has been a great experience. 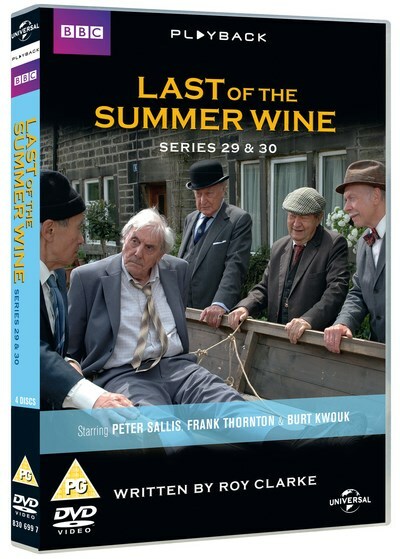 Firstly for having in stock quite a rare choice of nostalgic tv product, and secondly for the great customer service and prompt answer to my email. Further, the documentation and receipt I had enclosed in a decent protective envelope was informative, friendly and well laid out. The leaflets included were customer friendly and informative of other available DVDs. In fact it made the receipt of my choice all the more enjoyable. I have in the past always used Amazon for my purchases, but I will not in future without first referencing your site first for a number of important reasons. These being, the price. Yours was several pounds cheaper. The delivery was better as too the packaging. Customer support when you really look at it is utterly poor in comparison to your own, and I did not at any stage have blasted Amazon Prime forced upon me. And maybe the biggest advantage you have over them is that I know the products are coming from you and not, with my last purchase from them, a third party. This happened with a DVD I ordered from them that came to me through Amazon via from a third party 'marketplace seller'. When I eventually received it, it turned out to be a poor copy and not an original. That dispute is still on going. So in conclusion, based on your prompt, efficient and friendly service, I shall not only be returning, but will endeavour to spread the word with other slightly aged nerd types I know. So thanks again and all the best. Ebay Feedback. 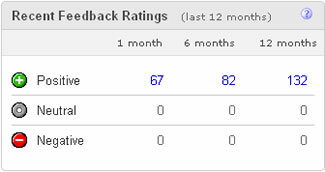 As of 29/3/09 we currently have 100% positive feedback with 822 reviews. Please read comments left about our company on ebay here. Very satisfied with the product and the service provided. The quality of the video is excellent. Ronnie Barker is amamamamazing. But will he ever catch Nurse Gladys? 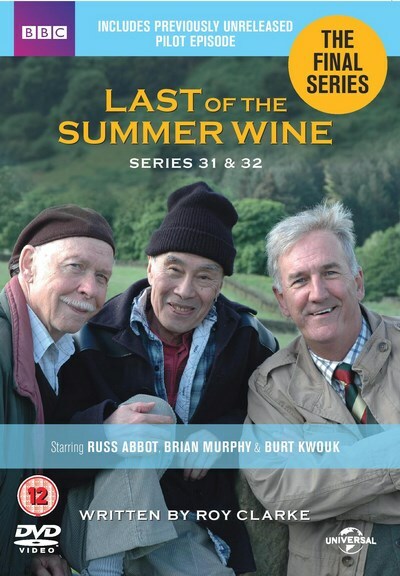 Another excellent series.